“The Inspiration of Succession” by Zbigniew Tyburski, tells the story of a hard working immigrant couple who bring themselves out of poverty through their ingenuity and compassion, and how this affects the couple’s four children. Through a collection of short stories that follow their trials and achievements, the children in turn, use their innovation to create a more just and compassionate society. The author provides a fantastical twist and turn of events that will leave the reader engaged and inspired. The book itself is a quick read; the short stories make it seem like the plot flies by and never stalls in meaningless devices or dialogue. “The Inspiration of Succession” combines the traditional with the modern; a folktale set in our world. It is familiar in the sense that it feels and sounds like a traditional folktale, especially with its fantasy elements, and in the wisdom that it displays. However, it is relatable because it takes place in our world and addresses our modern problems, not just universal lessons. I could personally relate on a few levels; my parents are immigrants and our family has often teetered between getting by and poverty. No, we did not become millionaires, but the younger generation continues in their achievements and success thanks to the example and hard work of the older generation. 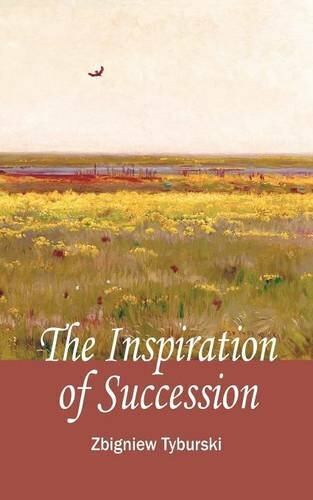 “The Inspiration of Succession” is not only a modern folktale, but also a family saga, one that spans generations and individuals. It could also be a tale of the “American dream,” especially from an immigrant’s perspective. "The Inspiration of Succession" by Zbigniew Tyburski is an incredible story, but not one without flaws, particularly grammar. As someone who spends a large chunk of their time reading and writing academic papers, I could not help but notice. They are the type of errors that some people will notice, and others will not; the type my immigrant parents make sometimes when speaking or writing, but nothing that would bother a reader. I would recommend this book to anyone, particularly anyone in need of inspiration.